Whether you’re tired of reminding you-know-who what day Valentine’s Day is, looking for an escape from the traditional or simply love an excuse to spoil your crew, celebrate Galentine’s Day the right way here in SLO CAL®. 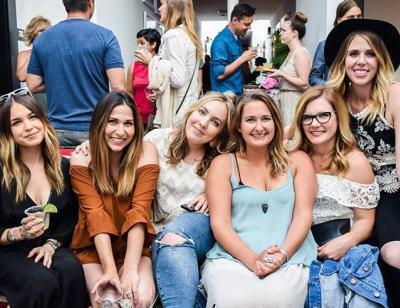 From outdoor activities to the craft beverage scene and local eats, any reason to leave the worries at home, rally your girls and throw on your cute (yet comfy) shoes is a good one. Kick off the celebrations with full mugs, plates and hearts. Wake up to views of Morro Rock at Frankie & Lola’s Front Street Cafe where the portions are generous and the atmosphere feels like home. At Village Cafe, grab a breakfast classic with pancakes and bacon followed by taking a stroll through the quaint Village of Arroyo Grande. Take time to window shop and pop into Affairs of the Heart and the other local boutiques and vintage stores that line Branch Street. 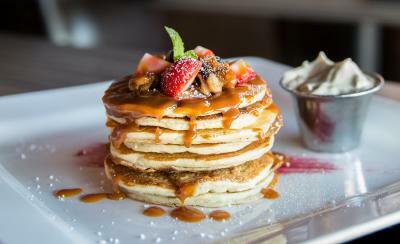 Following breakfast, take time to relax because, well, we know you want to. With countless spas speckled throughout the county, you won’t have trouble treating yourselves this year. Book the Oasis Spa at Sycamore Mineral Springs and sip and soak in the hot mineral water as you listen to the sound of the waterfall flowing behind you. Massages at local spas will give you the chance to unwind from the day-to-day stress, leaving you and your girls feeling relaxed and recharged. Now rejuvenated, lift your spirits and spend time at craft beverage spots throughout the county. An afternoon of wine awaits in the vineyards that span across SLO CAL. Head to San Luis Obispo to play bocce ball with a glass in hand at Baileyana, Tangent and True Myth or take in the views from DAOU Vineyards in Paso Robles. If you’re beer girls, get a taste of the numerous craft breweries such as Firestone Walker, SLO Brew and Libertine Brewing Company. 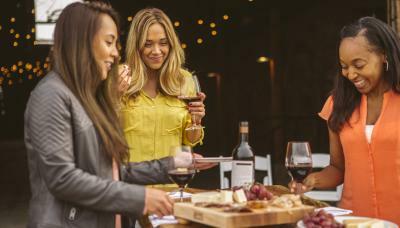 Or, opt for the social scene of Tin City in Paso Robles, where your tribe can saunter from winery to winery, sip cider and cruise to Barrelhouse Brewing Company. Top off your day’s adventures by booking reservations to savor SLO CAL’s restaurants. Keep it casual by venturing to Jeffry’s Wine Country BBQ for tasty mac-n-cheese or dive into a juicy burger at Eureka. Or, gather around the table and spoil yourselves as you dine at local hotspots such as Novo Restaurant & Lounge, Cafe Roma or Park Street Grill. What better way to round out your Galentine’s Day than catching the sunset with sweets in hand? Head over to Mama Ganache Artisan Chocolate for mouth-watering chocolates or grab the famous Pink Champagne cake from the Madonna Inn Bakery to-go. 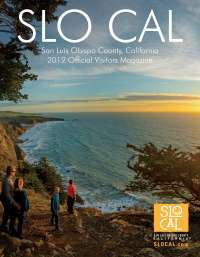 With treats in hand, cruise to anyone of the SLO CAL coastlines or trek up to a peak to wave the day goodbye. However you decide to spend Galentine&apos;s Day, SLO CAL has all you need to tell your gals how much they mean to you.